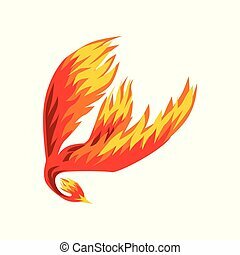 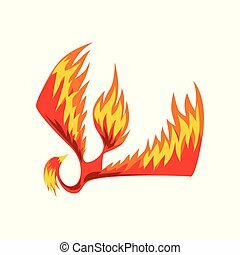 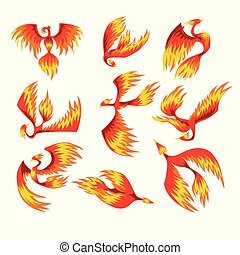 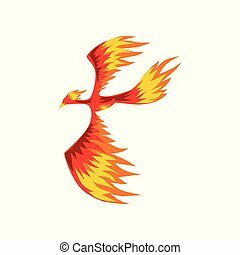 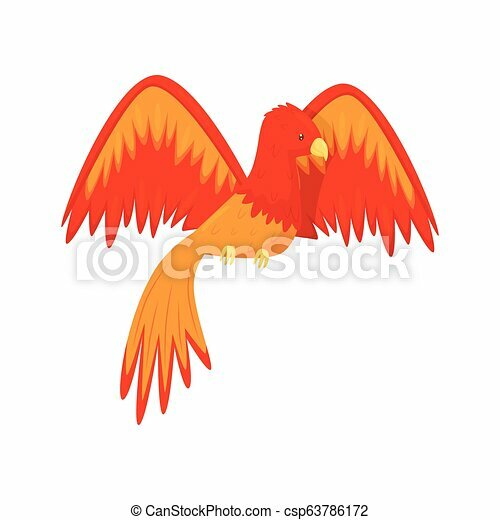 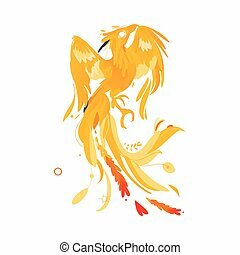 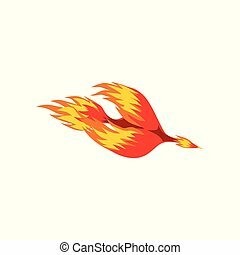 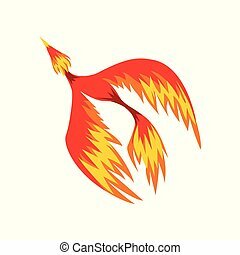 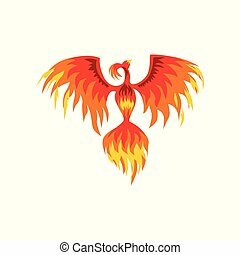 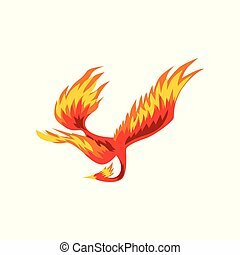 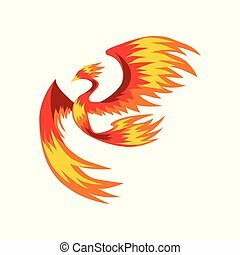 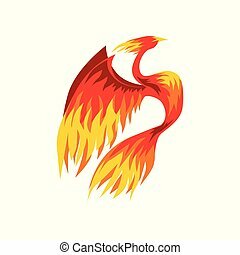 Flaming phoenix bird mythical creature, fairy tale character from slavic folklore vector illustration isolated on a white background. 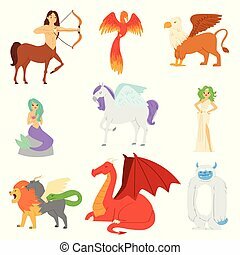 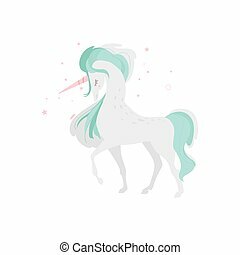 Mythological animal vector mythical creature phoenix or fantasy fairy and characters of mythology centaur unicorn or griffin illustration set of cartoon beasts isolated on background. 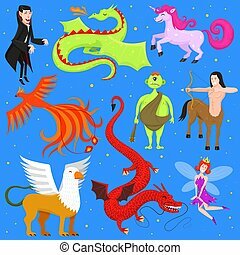 Mythological animal vector mythical creature phoenix or fantasy fairy and characters of mythology mermaid or unicorn and griffin illustration set of cartoon beasts isolated on background. 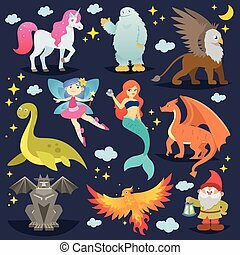 Mythological animal vector mythical creature phoenix or fantasy firebird characters of mythology mermaid snowman and griffin illustration set of cartoon beasts isolated on white background.